Autumn is here. We know this because the Morristown Festival on the Green is teed up for Sunday. But the weekend fun does not stop there in Greater Morristown. You can find new art exhibits, scintillating historical talks, world class organists and the charming Beppe Gambetta. The Morristown Fire Department FMBA Local 43 hosts a blood drive from 9 am to 1 pm at the fire station on 161 Speedwell Ave. A variety of health screenings also will be offered, for free. The Friends of Florham present The White House – From ‘Presidential Palace’ to the People’s House 1792-1962, a lecture by Gary Helm Darden, Ph.D., at Fairleigh Dickinson University in Madison. Reception at 5 pm, talk at 6 pm, in Hartman Lounge, Hennessy Hall. Admission: $20; FDU faculty and staff $10; students, free. Register here. At 285 Madison Ave.
Morristown’s Bethel A.M.E. Church presents a Beefsteak for Hope dinner, a benefit for its Table of Hope soup kitchen, at 6 pm at the Birchwood Manor in Whippany. Tickets: $65. (Not sold at door. For information, call 973-267-8912.) At 111 N. Jefferson Road. From 7 pm to 9 pm, Morris Arts presents a free opening reception for its Fall/Winter 2018-19 Invitational Exhibit at the Atrium Art Gallery, on Floors 2-5 of the Morris County Administration and Records Building at 10 Court St. in Morristown. Featuring eight artists whose works have been shown in major international galleries and shows, the show runs through Jan. 7, 2019; open during weekday business hours. More details are here, or at (973) 285-5115, ext. 10. The North Jersey Civil War Round Table presents its Members’ Night Program at 7:14 pm, with presentations about Morristown infantryman and stretcher-bearer Heyward Emmell, and about one of America’s worst presidents, Franklin Pierce. Admission: $5; members and students, free. At the Haggerty Education Center at the Frelinghuysen Arboretum, 353 E. Hanover Ave., Morris Twp. (opposite the Morris County Library). The Shakespeare Theatre of New Jersey presents Sam Shepard’s Pulitzer-winning Buried Child, directed by Paul Mullins, at 8 pm. Tickets start at $49. At Drew University, 36 Madison Ave., Madison, 973-408-5600. Josh Stafford, award-winning organist of Morristown’s St. Peter’s Episcopal Church, presents a free recital on the church’s 1930 Skinner organ at 7:30 pm. At South Street and Miller Road. Morristown’s Mayo Performing Arts Center presents an evening with guitar virtuoso Pat Metheny, with Antonio Sanchez, Linda May Han Oh and Gwilym Simcock at 8 pm. Tickets: $49 to $99. At 100 South St., 973-539-8008. The Shakespeare Theatre of New Jersey presents Sam Shepard’s Pulitzer-winning Buried Child at 8 pm. Please see Thursday entry for details. You still have a couple of weeks to enjoy the Morris Plains Farmers Market, from 9 am to 2 pm every Saturday through Oct. 6, 2018, on Merchant’s Block, next to the Model Railroad Club. The Morristown High School football team (1-2) goes for two victories in a row, with a 1 pm home game against Roxbury. The Shakespeare Theatre of New Jersey presents Sam Shepard’s Pulitzer-winning Buried Child at 2 pm and 8 pm. See Thursday entry for more. The Baroque Orchestra of New Jersey and the Madison Area YMCA present PhilanthrOPERA: A Musical Celebration of Philanthropy, featuring professional opera singers, at 7 pm in Madison’s Grace Church. Tickets: $100. At 4 Madison. Morristown’s Mayo Performing Arts Center presents comedian Bobby Collins, with opener John Ziegler, at 8 pm. Language, mature themes. Tickets: $39-$59. At 100 South St., 973-539-8008. 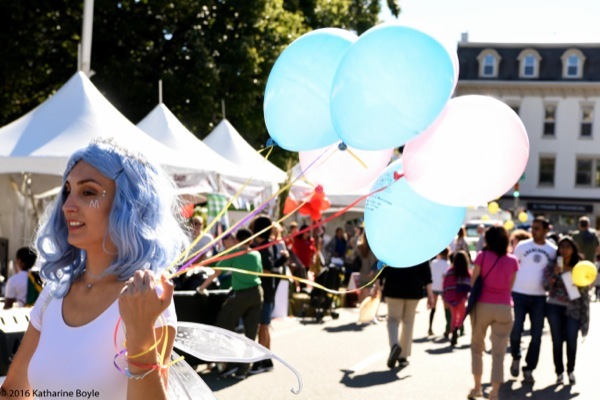 The 24th annual Morristown Festival on the Green runs from noon to 5 pm. Presented by the Morristown Partnership, it features free entertainment on four stages, and more than 160 exhibitors representing local businesses, restaurants, and community groups. The Shakespeare Theatre of New Jersey presents Sam Shepard’s Pulitzer-winning Buried Child, at 2 pm and 7:30 pm. See Thursday entry for more.